As a parent, making important decisions regarding the health and safety of your child is the number one job. Decisions include which car seats to use or which schools to put their children in. 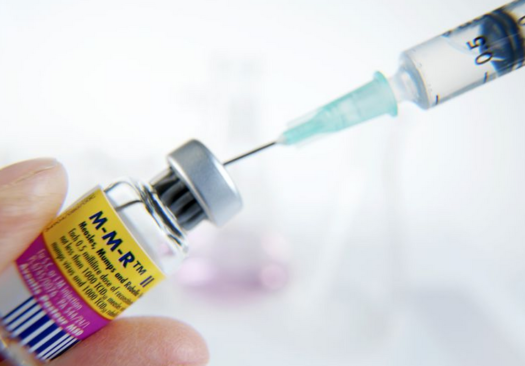 Another big decision that has sparked up some controversy and heat recently is whether or not a parent decides to vaccinate their kid. Vaccination procedures are simple: patients are injected with the same antigens that cause the disease. However, the bodies of antigens are weakened to the point where they don’t actually cause the disease but are strong enough to make the patient’s immune system produce antibodies to fight back. Once the immune system has produced antibodies to fight back against a specific antigen the body will be faster and stronger if it returns. With today’s growing technology and advancement in the medical world, vaccines have grown tremendously in quantity and safety. Vaccinations have helped rid the world of some of the most deadly diseases. Not vaccinating your kid will just push us back in the goal of getting rid of others we haven’t quite gotten to terminating yet. The first known vaccine dates back all the way to 1796. Introduced by Edward Jenner, the smallpox vaccine aided in preventing patients from easily catching and spreading a deadly disease that has flu-like symptoms. As a result of this creation, there were reported zero cases of smallpox in 2015. It is extremely rare to near impossible to acquire. Children, in the past, have died from a various of diseases: polio, whooping-cough, mumps. Now, vaccinated children are better protected from these serious illnesses. Vaccinations defend people you care about, your family and friends. They’re safe and effective. They must go through long and extensive review before going out into the public. These benefits simply outweigh any downsides that a treatment might possess.